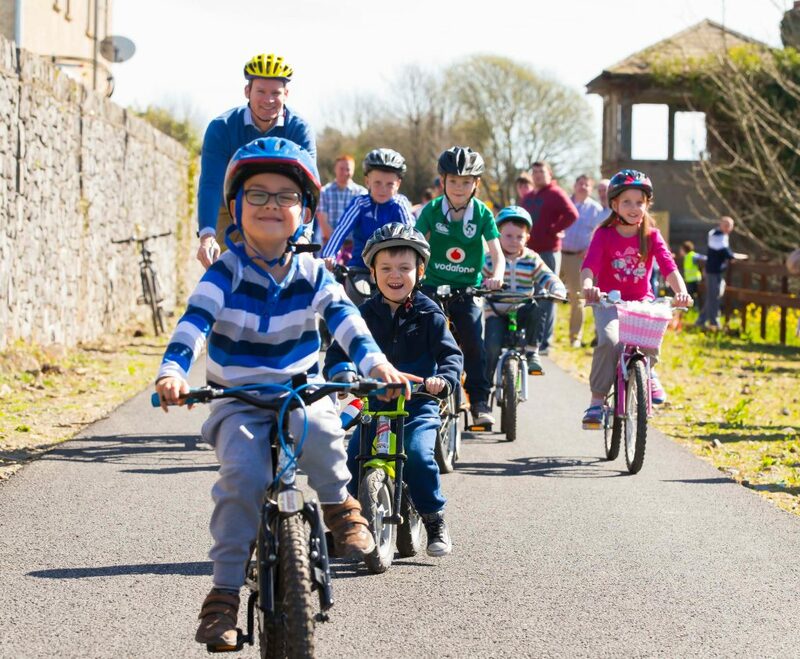 The Waterford Greenway is Ireland’s longest off-road walking and cycling experience, running 46km from Waterford City to Dungarvan. 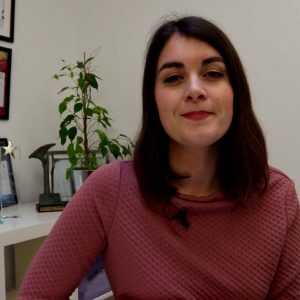 It celebrated its official opening on March 25th. 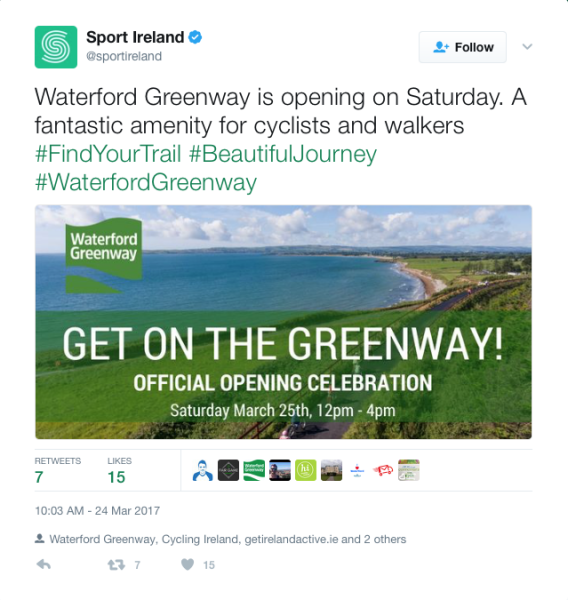 Springboard was delighted to play a part in promoting Ireland’s new amenity and tourist attraction, creating a bespoke online communications and social media strategy for Waterford Greenway. 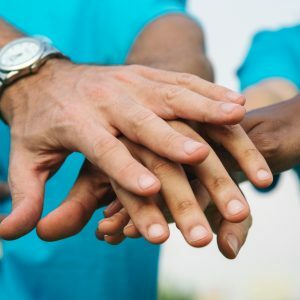 The open day featured a wide range of family-friendly activities, street entertainment, live music, exhibitions, walks, talks, markets and more in 3 locations across Waterford. 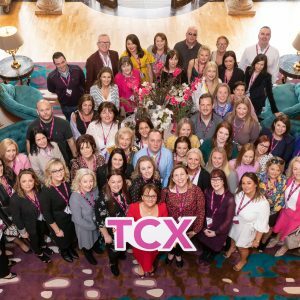 Mayor of Waterford, Cllr Adam Wyse and Minister for Housing, Planning and Local Government, Simon Coveney TD took part in the official ribbon cutting ceremony, which marked the launch of the €15 million project. 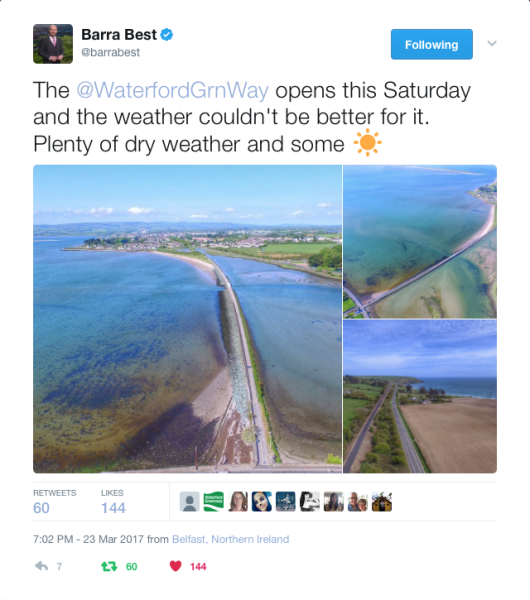 As a major tourism initiative, the Waterford Greenway features in the Atlantic Coast Route of EuroVelo, a long-distance cycling network connecting Europe. 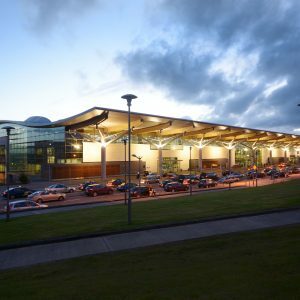 It is also part of Fáilte Ireland’s Ancient East experience. 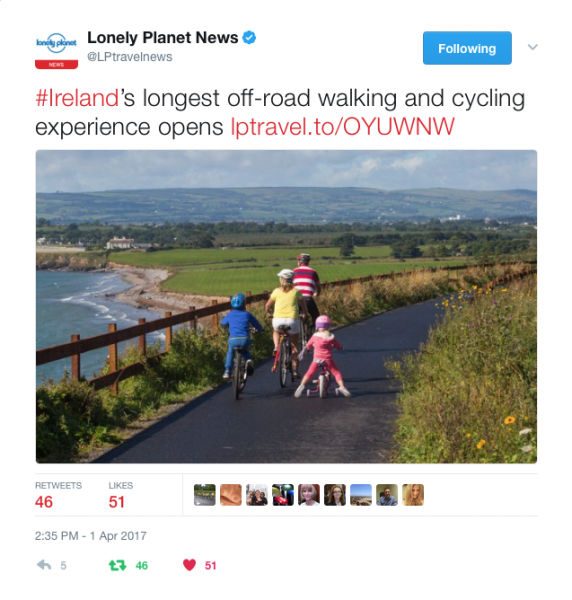 Some of the media that featured the Waterford Greenway over the opening weekend included the Sunday Times, Lonely planet, the Culture Trip, Newstalk, the Irish Independent and RTÉ. Many of these also tagged the Waterford Greenway in Facebook and Twitter posts. 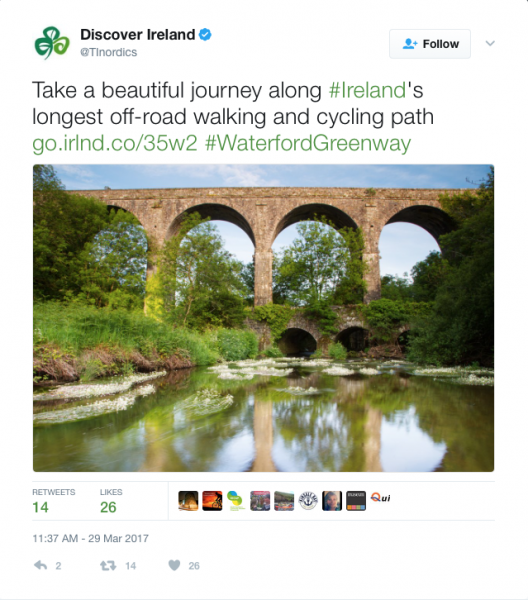 As part of the social media campaign, Springboard utilised an event hashtag #WaterfordGreenway, invested in PPC, shared video content and engaged with key influencers and organisations. 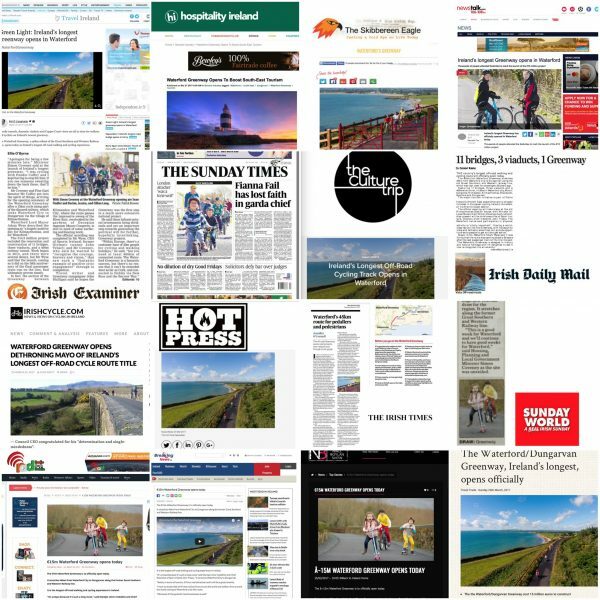 There were over 70 mentions of Waterford Greenway in Print and on radio.